The author shares her personal discovery of over 150 wild plants--legal, non-addictive, medicinal, and enjoyable--that have been smoked by native Americans and other for centuries. Compiled here for the first time in print, this knowledge is drawn from the author's own experience and her research into original ethnobotanical texts and contemporary herbalism. Acknowledging the serious negative health, social, and spiritual consequences of smoking commercial cigarettes, the author challenges us to look past our modern practices and rediscover the truth about the age-old ritual of smoking. Over a dozen smoke mix recipes made with legal, non-addictive herbs that calm nerves, reduce anxiety, relieve insomnia and may help you stop or reduce cigarette and marijuana smoking. A guide to gathering over 50 smokable wild plants. Over 150 smoke plants, many traditionally used by the Navajo, Iroquois, Cherokee, Hopi, Cowasuck and other Native Americans. The original spiritual purpose of smoking. 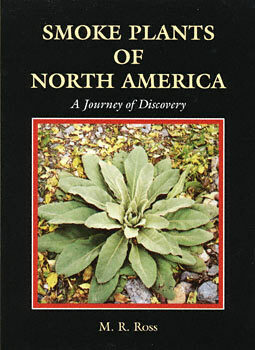 M. R. Ross has explored the use of herbs and wild plants in India, Mexico, Hawaii, the American Southwest, and the Cherokee Nation.